Sheds are usually built for gardening purposes, as well as for storing things like devices and tools used in the backyard. They are also helpful when it comes to organizing potted plants and creating a base in your home garden. But what is more interesting when creating yard sheds is that you can use wide range of materials for it, depending on the specific function and longevity required. The lighter the material, the simpler it is to jack up when the needs of the time comes. Sheds can either be purposeful in gardening and potting. But did you know that there are other functions that garden sheds serve? For instance, you can or make into a shelter for your seeds and fertilizers which need to be kept somewhere dry. The only challenge is maintaining it in the long run so you don’t need to spend big money in constructing a new one from time to time. When it comes to building your new garden shed, it’s essential to understand which proper materials to use so it will serve your needs in a longer period. There are plenty of options to choose from when buying the materials. One important thing to keep in mind is the quality and durability of the products available in the market. However, you could also opt for a shed kit which contains everything you need—it’s easier to put together as well. It’s a good thing that there are various shed plans you can obtain to guide you in the construction of your garden shed. However, you can also contact an expert shed builder to do it for you. Some companies offer services for custom yard sheds based on the needs of the client. 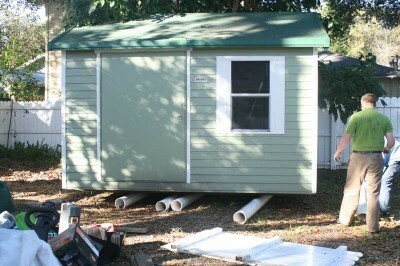 The longevity and effectiveness of your shed will depend on the expertise of the constructor, of course. Garden sheds differ in proportion, type of construction materials, and the building plan used. In general, they are affordable and last longer with the appropriate materials and size used. So, if you want to build a long lasting shed in your garden or backyard, be sure to consider all these things. Also, you need to find the best guide that meets your requirements. Thanks to the internet, doing this should be much easier to accomplish—cheaper too since there are guides which can be obtained for free. You just need to look for legit websites that offer them. 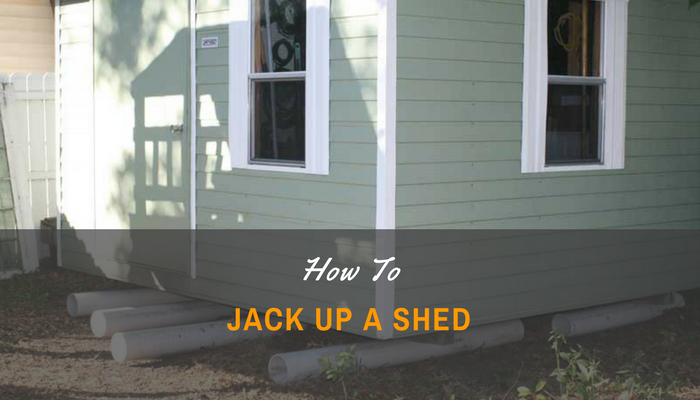 So, you have your old shed in the yard and you want to jack it up for more convenience? If so, you have visited the right page that will provide you with the information you need in order to get things done easily. Basically, garden sheds are built to provide you with a convenient place where you can securely keep your gardening tools, lawnmowers, and other outdoor equipment. This frees up more space in your home and keeps some of these dangerous tools away from the reach of younger children. Since yard structures are built to resist certain elements like weather, heavy materials are needed in its construction—durability is a priority. Quality materials are also important so you can make sure that the structure will endure the years and other conditions. But because of the heavy materials used, the shed would often sink into the soil it was built upon. This is especially so if the soil is very moist. If this is you problem, you need to know how to lift it up without affecting the entire structure. Remove the items and tools from your shed so the weight is reduced before you start doing anything. This would also keep things safe as jacking up a shed can loosen some of them from their hold—you wouldn’t want sharp objects falling in there whilst you work. From the shed’s base, slide the hydraulic jack’s tip on one side, the side which is supporting the beam. After that, you can pull the lever so that side will be lifted up. 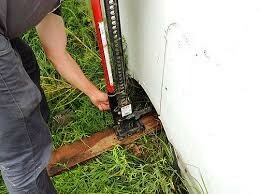 Use the jack to slightly level the corner and achieve your desired elevation; carefully slip the jack stand under the shed’s corner so it holds everything in place. Repeat the same steps in every corner. Make sure you do this carefully and if need be, find someone to assist you. Double check if everything is properly leveled—this particularly step might take a bit of time as you would want your shed to appear even. You will need jacks stands and a hydraulic jack for this job. Do find yourself some really good ones as they can cause serious injury should these break while you’re working. Making a temporary using jack stand using a block can also be done. You can place the jack on the temporary base with one or two blocks on each side to secure the structure. You can even try the bottle jack to make the work easier. But make sure to slowly lift the shed to avoid moving it beyond the required area. For this, some people would opt to rent a forklift or all-terrain vehicle to move the shed. Usually, the foundations of garden sheds are not that good. Sometimes, people don’t hire the right experts when it comes to building garden sheds so the structures end up sinking further into the ground after a while. But don’t worry because the tips mentioned above will help you fix up your garden shed in no time. Also, there’s no need for you to spend too much money in order to get this project done. All you need to do is follow the steps or hire an expert to help you out.